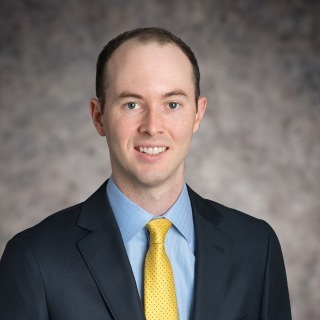 Stephen R. Halpin III is a litigation associate in Hughes Hubbard’s Washington, D.C. office. Steve has represented clients in high-stakes civil and criminal cases in federal and state court, including on appeal. He has experience conducting discovery, including preparing for and participating in both offensive and defensive depositions. In his work on international trade matters, Steve has contributed to numerous briefs filed with federal government agencies and has argued before the United States Department of Commerce. Steve is a committed pro bono advocate. He serves on the firm’s Pro Bono Committee and has worked on several pro bono matters focused on issues of constitutional law. Steve is also a member of the Discretionary Panel of the United States Court of Appeals for the Fourth Circuit. The Fourth Circuit appoints lawyers from the Discretionary Panel to represent indigent litigants in civil rights, habeas corpus, and ancillary criminal matters, among others. Prior to joining the firm as an associate, Steve clerked for the Honorable Robert B. King on the United States Court of Appeals for the Fourth Circuit. While in law school, Steve served as a research assistant to Civil Procedure & Jurisdiction expert A. Benjamin Spencer.